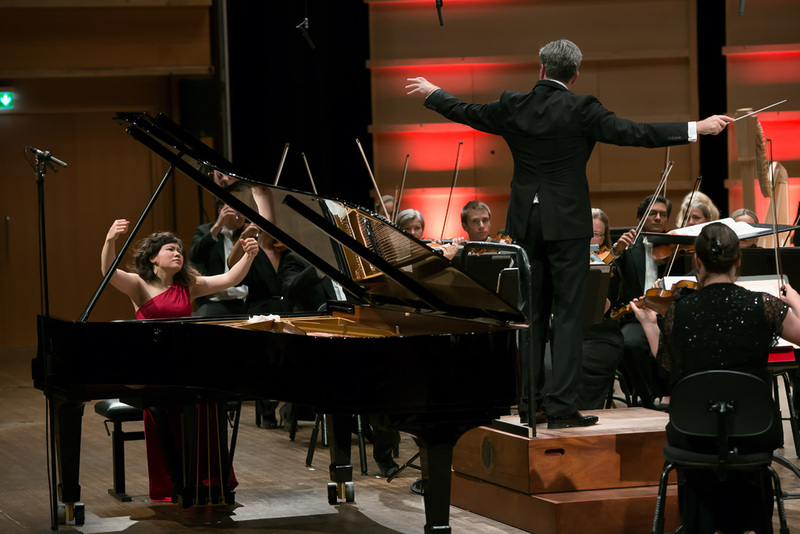 Thirty pianists from eighteen countries are ready to compete in the 16th Edvard Grieg International Piano Competition in Bergen, 1–9 September. Organised by KODE Art Museums and Composer Homes, this is the fourth time the Edvard Grieg International Piano Competition will be held at the home of Edvard Grieg at Troldhaugen. The competition ends with a grand Finale / Competition final in Grieghallen in Bergen with the Bergen Philharmonic Orchestra. 133 young pianists from thirty-six countries participated in this year’s pre-qualification process. Of these, thirty have been invited to Grieg’s hometown in September. “The Edvard Grieg International Piano Competition has found its place as one of the major music competitions in Northern Europe,” says Sigurd Sverdrup Sandmo, Competition Director. Stiftelsen Kristian Gerhard Jebsen is the competition’s main sponsor and sole private contributor. "The foundation’s generous support since 2012 has made it possible to develop the Grieg Competition into an international musical event," says Sandmo. The first three rounds are held at Troldhaugen. Three finalists will then take part in the Finale / Competition final on Sunday in Grieghallen, 9 September, where they will perform with the Bergen Philharmonic Orchestra under the conductor Edward Gardner. The competition offers highly attractive prizes, ranging from a top monetary prize of 30,000 Euros to concert engagements in Norway and abroad. In Norway, the winner will receive prestigious invitations to perform in Oslo, Bergen, Trondheim, Stavanger and Kristiansand, and will appear as festival artist at the Lofoten Piano Festival and the Winter Festival in Bergstaden. “For the winner the competition can be a launch pad for a career as an international concert pianist,” says Sandmo. Free admission - vote for your favorite! The competition will be open to the public throughout the week. Admission to all preliminary rounds in Troldsalen is free of charge, and for those who want to learn more about the art of listening, there is a free listening forum each day, hosted by the pianists Audun Kayser and Rune Alver. The competition is a unique opportunity for anyone who wants to enhance their listening experience, or who enjoys hearing musicians discuss their subject. Tickets for the Finale / Competition final in Grieghallen are for sale, and here audience members can vote for their favourites via text message. Both the final and all preliminary rounds will be streamed and can be followed free of charge from anywhere in the world. Also on the programme is an exclusive recital with the Armenian star pianist Recital: Sergei Babayan in Håkonshallen. Renowned for his energetic style and versatility, Babayan has performed in many of the world’s most prestigious concert venues. He won a number of major international piano competitions at a young age and has since successfully fostered the talents of many gifted pianists at his own piano academy at the Cleveland Institute of Music. He is known for his close collaboration with Argentine pianist Martha Argerich, and as a teacher of Daniil Trifonov, who is today one of the world’s most sought-after young soloists. The competition will give young pianists an opportunity to get closer to Grieg’s music through intimate introductions to the composer’s own sources of inspiration, and to the culture and landscape of Norway. Participants who do not advance to the semi-finals are invited to give regional concerts with Grieg on the programme in Kabuso, Knarvik Church, Valestrand Culture Church, Oseana, and Erdal Church on Tuesday, 4 September, at 19:00, and at the University Aula in Bergen on Wednesday, 5 September, from 11:30 to 13:00.